Just got home a couple of hours ago after a great golf trip to Osoyoos. Just want to thank you for arranging the accommodation at the Watermark Resort , all the gals loved it and with the perfect weather all made great use of the pool after our golf. Everything was perfect and next year I'm sure our numbers should be up for our "10th Anniversary". Thank you again from us all for the great wine. Will be in touch. 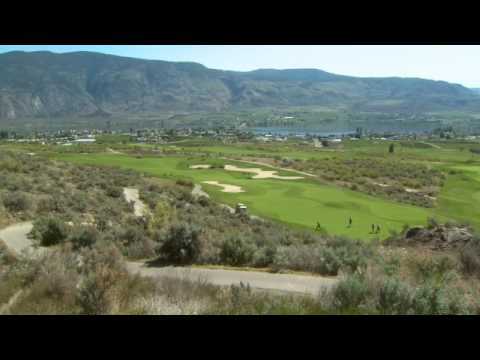 Our golf trip to Osoyoos was really nice. We all appreciated the accommodation at the Best Western Sunrise Inn as they were nice large suites with good comfortable furniture and beds. We used their morning dining room for a wind up pizza dinner and drinks on the last night. All the golf courses offered good service and assisted us when necessary upon arrival. We made our own dinner arrangements at the Pub and Campo Marina, really great Italian food. My wife and I enjoyed everything and look forward to another visit somewhere in 2013. Thanks for your assistance in putting our trip to Kelowna together. The weather was great & the course selection was terrific.Predator Ridge was our favorite. The Rise would be a close second,definitely need to play this one more than once to find your way around it. Tower Ranch is another great track. All of these have spectacular views. Osoyoos Desert was a fun course but too far to drive for just one round.The Bear was a great choice for our opening round but Black Mountain was a bit of a disappointment. It doesn't stand up against these other courses. The Holiday Inn was a good choice & their breakfast every morning got us started on the right track. Overall a great experience. Thanks again. Osoyoos Golf & Country was great scenery and managed to finish before a storm blew in. Balfour was so much fun especially the back 9. And last, Kokanee Springs which is amazingly beautiful, very challenging and we would love to play it again. The Kootenay Lakeview Lodge... all I can say is WOW - the view is stunning and the food at dinner was amazing on both nights! Thanks again Ross for taking care of us and we will definitely be in touch with you again. We both wanted to write to say what a fantastic golf holiday we had, and to thank you for setting it all up for us. We are already looking forward to doing something similar next year. We both think that we would do it a little earlier next year - maybe the last couple of weeks of Sept - the Okanagan was having unseasonably cold weather and there were 3 or 4 days where we had frost delays. However, we had sunshine most of the time, and only one day of rain. A minor hitch was a couple of days with no hot water or heat in our suite at Playa Del Sol. However the woman we dealt with - Leanne was extremely pleasant and was ready to move us if needed - fortunately the problem was fixed and we were able to stay in the suite. We were very pleased with the accommodations in Kamloops - the room at the Hampton was lovely. And the Playa Del Sol suite was gorgeous - we were upgraded to a 2 bedroom suite with a fabulous view and we were able to have all our meals in comfort in the suite. Our son came up for the Thanksgiving weekend and there was plenty of space for him. Possibly as a result of how nice this room was, we were a little disappointed when we first got to the Surfside Hotel. We were in the old part of he hotel, and although the room was very clean, it was very basic, there was no view, and very little soundproofing. However, after the first night we checked with the manager, and chose to pay extra to upgrade to a suite in the new part of the hotel with a stunning view over the lake and with a fireplace (which was very appreciated after a day of golfing in October!). So as I said before, we are already excited about next year. We think that we would go for 2 weeks again, but would probably look at staying in only 2 places and would choose somewhere like the Playa or the suites at the Surfside with a kitchen. (Anne would like to try some other similar accommodations next time to allow us to experience different places). It is definitely worth it to us to spend a little more on the accommodations to get somewhere a little upscale. We absolutely loved the golf and the courses you helped us choose were great, but next year I think we would plan for 3 days of golf in a row and a day off in between so that we have time to travel around and do and see other things. So once again - thank you for a very memorable trip. Loved the course, such beautiful vistas and in great shape, despite the heat wave in BC. We've played there before and it lived up to our great memories. Excellent course. Stunning views and great golf. The Desert course is a good challenge for anyone's game management skills. The course is not terribly long, but it demands that you play very accurately and does not leave a lot of margin for error. It features a lot of dog leg type holes, as well as eleavated tee's and elevated greens to hit to. Some terrific views of the town and the Lake and surrounding vinyards and orchards as well. The twilight rates offer pretty good value.